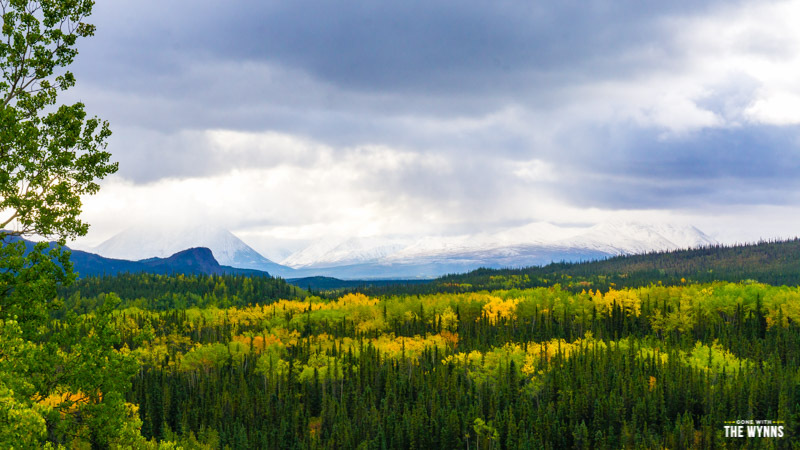 The giant state of Alaska is full of adventure, wildlife and extremely diverse landscapes. With our Alaska Bound Adventures this summer we’ve explored so much of this amazing state over the past couple months. 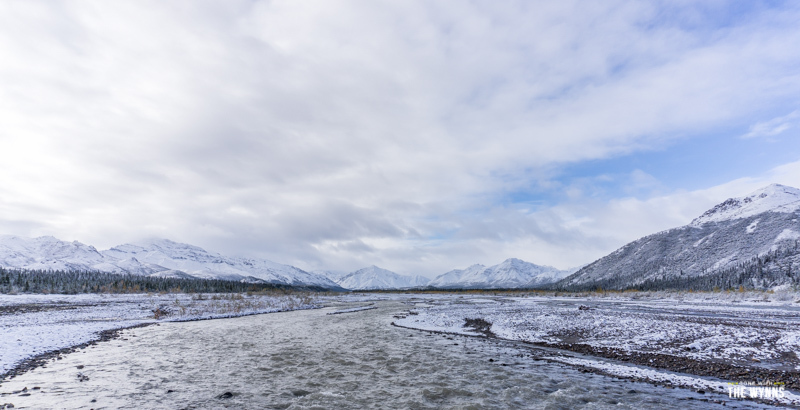 As we were planning our Alaska exit, in order to beat the snow, we kept asking ourselves: Can a visit to Denali National Park really make our Alaskan experience any better? 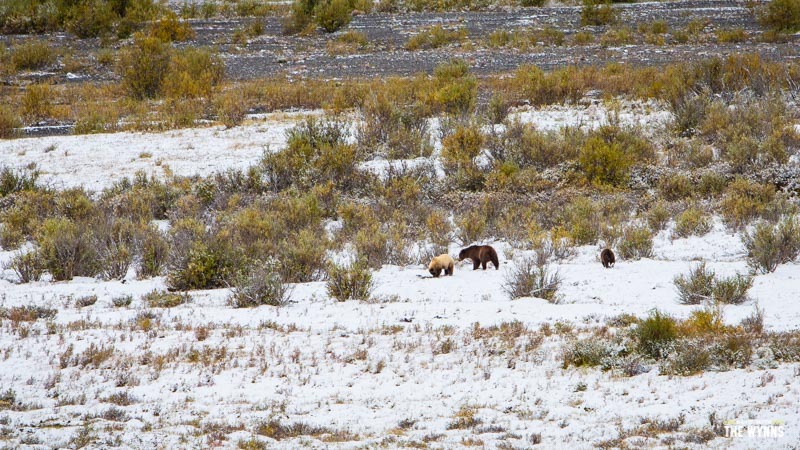 It seems we were not the only ones to have this ying and yang perception of Denali National Park. During our 9 days in the National Park area we asked everyone what they thought about the park, from workers, to rangers, to native Alaskans and here’s some the responses that stuck with us. For us this simple quote sums up our Denali adventures. Our time in the park was a proverbial roller coaster and nothing displays that better than our attempt at hiking the Savage Alpine Trail near mile marker 15. Whaddya think of that hike? Mother Nature sure can dish out a beating when she wants to. Like Mr. Fiennes said, there’s no such thing as bad weather. Our major takeaway from this experience: If you come to Denali, and you want to hike, you can’t wait for perfect weather. Even if things don’t turn out as planned, simply getting out for a few hours can turn into an unexpected adventure. 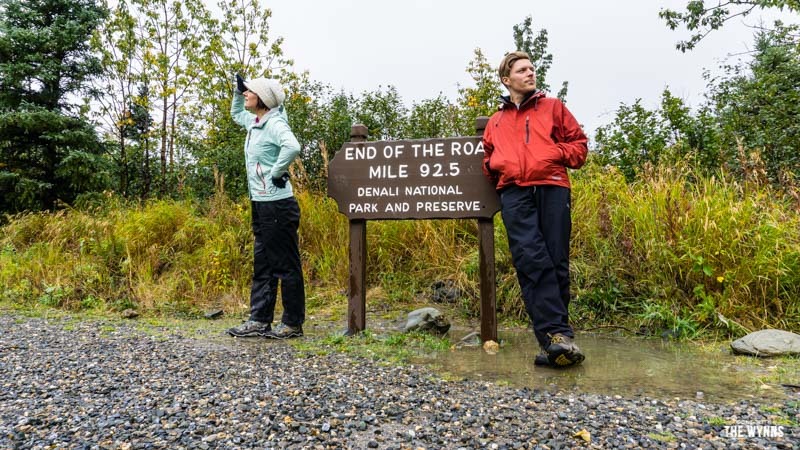 I’m not going to wax on too much with our thoughts because you’ll take home your own piece of Denali (and my words can’t do the place justice), but what we can do is share pieces of our experience in the hopes of making your Denali National Park adventures go a little more smoothly. Mother Nature is King out here and you won’t know what type of weather she’ll throw at you until you’re here! You can plan all you want, as far in advance as you see necessary, but once you get here there’s a chance you’ll have to throw all that planning out the window. We booked our campgrounds and bus passes less than two weeks in advance of our arrival, and honestly we didn’t know a thing about the park since we weren’t sure if we’d even make it to Denali National Park. 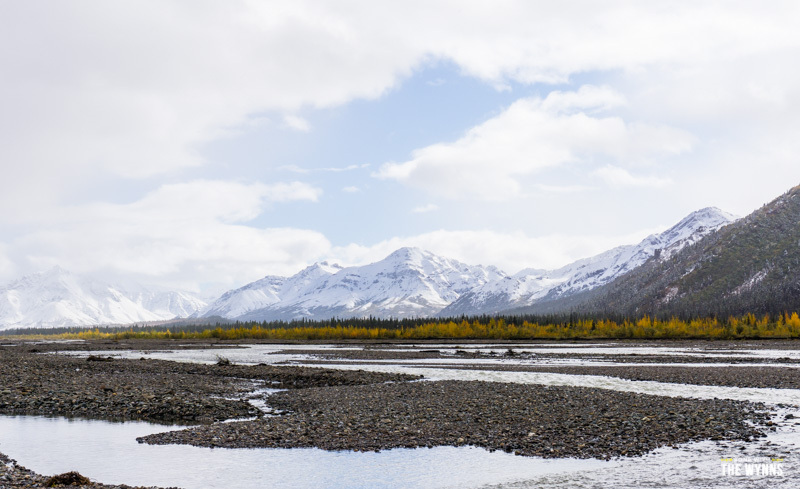 We share all the planning details, tips and tricks in our post about Decoding Denali National Park. Be prepared for anything! During our stay we had it all. One day was sunny and warm. In the middle of our stay it rained for nearly 72 hours straight. Our third to last day in the park it snowed so much they closed all the roads. Our last couple days snowed enough over night to delay the buses by several hours thwarting our plans to hike in the park. Thankfully we were camping at Teklanika (mile 29) so there was plenty of wilderness hiking and exploring to do up and down the scenic Tek River. Don’t come out here and expect to see the mountain because you’ll likely leave disappointed. We’re told most people don’t see it. In fact, because it’s seen so little, inside the Eielson Visitor Center (mile 66 in the park) they have a marker on the ground and a sticker on the window that shows the outline of where the mountain is. 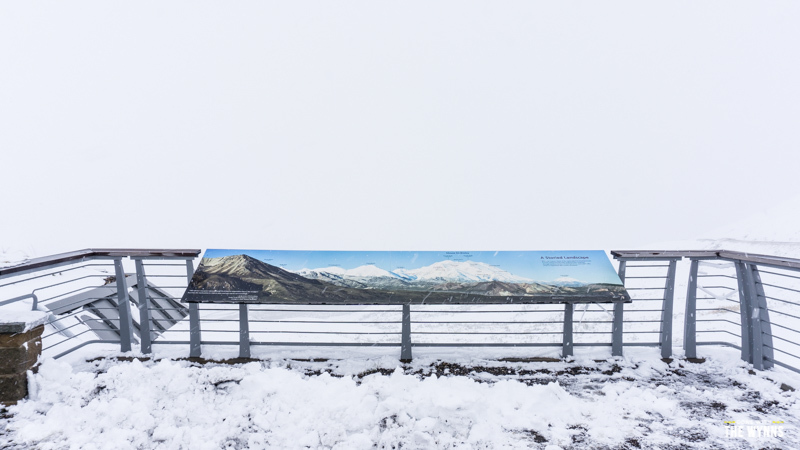 Not as grand as seeing the peak with your own eyes, but we got the jest of just how massive North America’s tallest mountain is. This is what our view from the visitor center deck looked like. Maybe I’m lazy, or maybe I don’t have the patience to be a wildlife photographer, either way the wildlife in Denali didn’t cooperate much for us. The road is a popular place to catch wildlife and the diehard photographers with their $30,000+ worth of cameras and lenses would spend an entire day in the same area waiting for that perfect shot. I sure hope they got it. 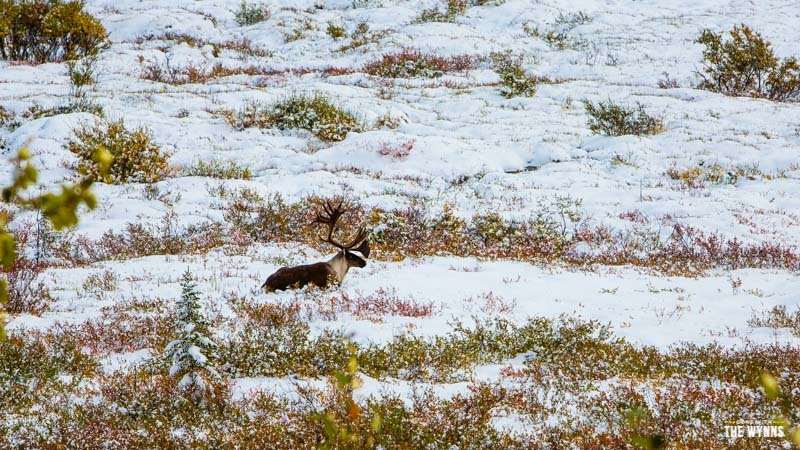 From the bus we only spotted one grizzly high up on the hill, a few caribou and some other miscellaneous small game. It’s OK, we didn’t come out exclusively for the wildlife so unlike some people on our bus we didn’t step off feeling disappointed. We were just happy to be enjoying the wilderness. Here are a few of our best wildlife snaps, keep in mind I rarely brought the “big camera” and as I mentioned above we didn’t wait on the road for that perfect shot. When we come to see and experience nature we do our best to get out and explore, even when the weather doesn’t cooperate. Here’s a few of the hikes we were able to tackle inside the park. Horseshoe Lake Trail – It’s a lush trail with tons of rose hip to be plucked along the way this time of year. There’s a neat beaver dam and there’s plenty of half cut down trees waiting to be drug into the water, we looked for a while but didn’t see this busy beaver working. 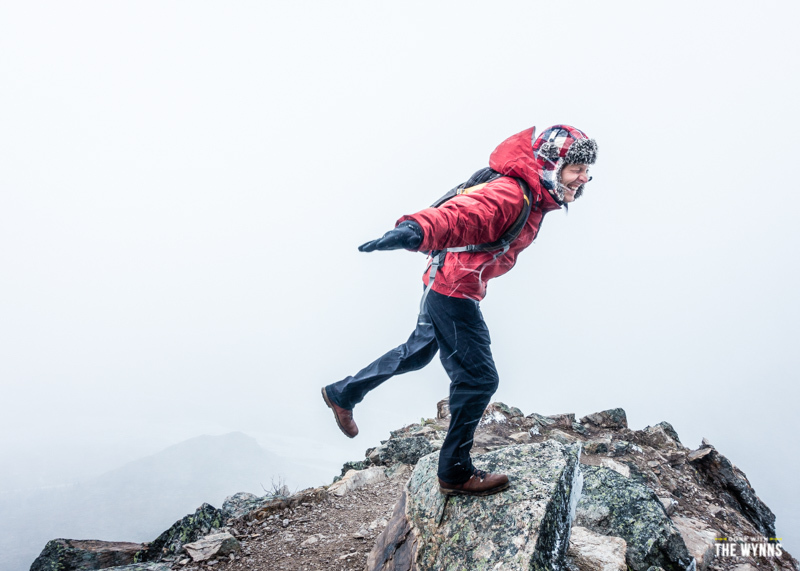 Savage Alpine Trail – Recommended by most everyone we came across as “one of the best hikes in the park” and honestly this little hike provided a load of unexpected excitement for us thanks to the wind and snow! Savage River Loop, Mountain Vista and Savage Cabin Trail – These are fine ways to stretch your legs and see the scenery around the Savage River Campground. These are popular trails so they can get crowded, but on a rainy day we’d didn’t see a single person! 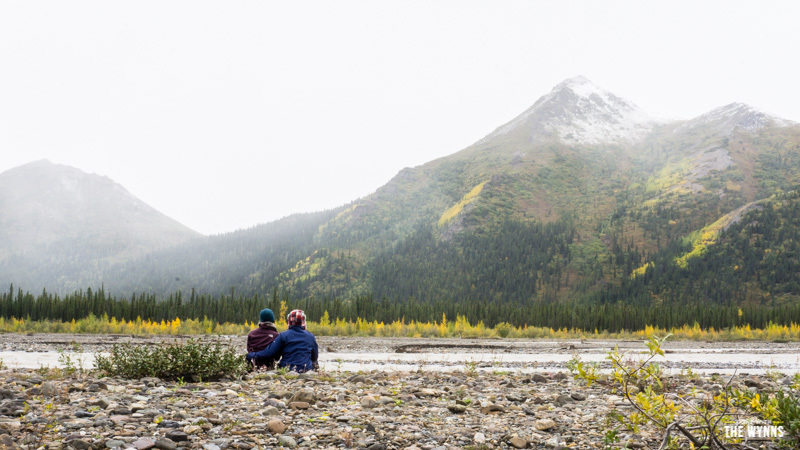 Anywhere – Denali is one of those parks where they allow and encourage you to go off trail and enjoy the wilderness. They only ask that you don’t walk behind each other in order to avoid creating a trail. It’s loads of fun and really leaves you feeling out there! It’s a brutal ride all the way out there to mile marker 92.5, and unfortunately the ride is so long (12-13 hrs from Riley Creek) there’s not much of an opportunity for hiking or exploring the areas on the way out. If it wouldn’t have been snowing we could have gotten out and hiked for an hour or two then caught another bus, but due to intermittent road closures, getting off the bus wasn’t recommended. Sure it was neat to see the entire length of the road but we felt a little disconnected since we saw it all from the seat of a bus. We dive deeper into the bus system in our Decoding Denali post. Typically, we’d only have a few major misses, especially considering the length of time we spent in the park, but Mother Nature wasn’t exactly making things easy on us. 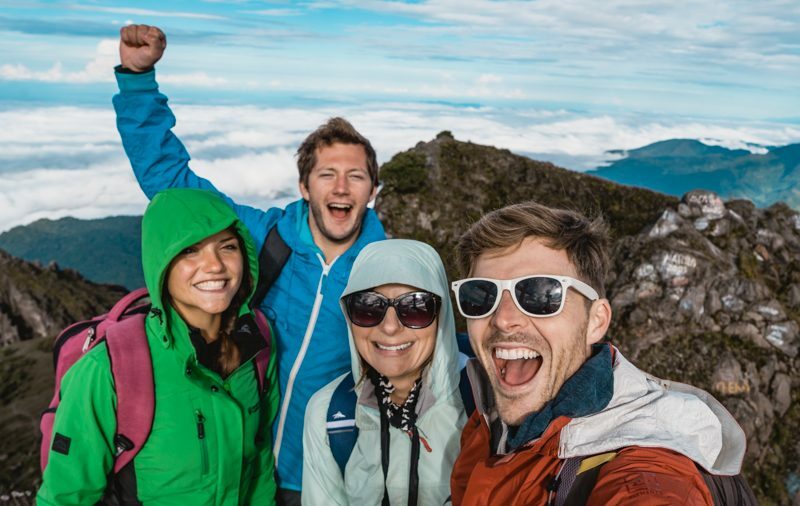 Disco Hike – Short for “Discovery Hike” these are special hikes that are limited to a dozen or so people. Where else can you hike with a park ranger in such a small group and discover a portion of the park off the main trails? If the weather would have cooperated we’d have taken two of three of these hikes! They are free however you must be “approved” for each hike, spaces are limited and they can only be booked 3 days in advance, and yes they often fill up fast. So schedule this the moment you arrive at the park! Mount Healy Overlook Trail – This is supposed to be a spectacular overlook but during our visit it was covered in clouds the entire time so we didn’t bother hiking up for the views of nothingness. 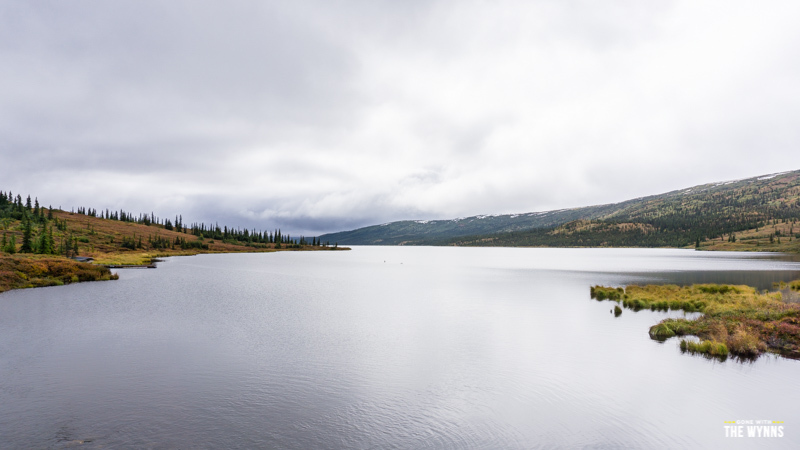 Triple Lakes Trail – The ranger at the Denali Visitor Center said this hike was her favorite on the 14 mile entrance road. Obviously there’s lots of lakes on the trail but the forest is lush and there’s a cool suspension bridge you get to walk across. Mile 55 – Apparently mile 55 is extremely special. We saw this mile marker referenced over and over in the ranger led backcountry Discovery Hikes. Many of the Disco Hikes begin right at, or near, mile 55. We had a Disco hike planned for mile 55 and mile 66 but we were snowed out. 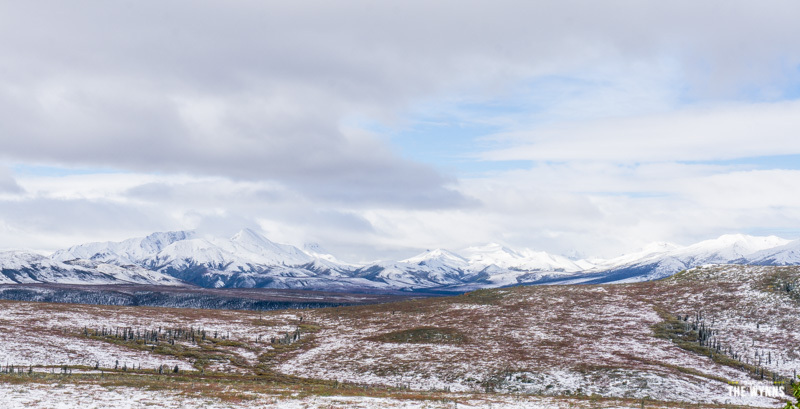 McKinley Bar Trail – Recommended by many of the park rangers we spoke to as a great hike with varying landscape of meadows and forests with killer views of Denali mountain. Reflection Pond – Located a couple miles past the Wonder Lake Campground there’s a small pond that, when all conditions are perfect, provides mirror like reflections of Denali Mountain. You can see our reflection pond shot below. Giant Camera Lens – Yep, having an obnoxiously long lens would have been great for wildlife photography, maybe even a 400mm lens with a 2x teleconverter…but who wants to hike around with that monster!?! I guess that’s why many of those guys apply for a photography permit and spend their days close to the road. 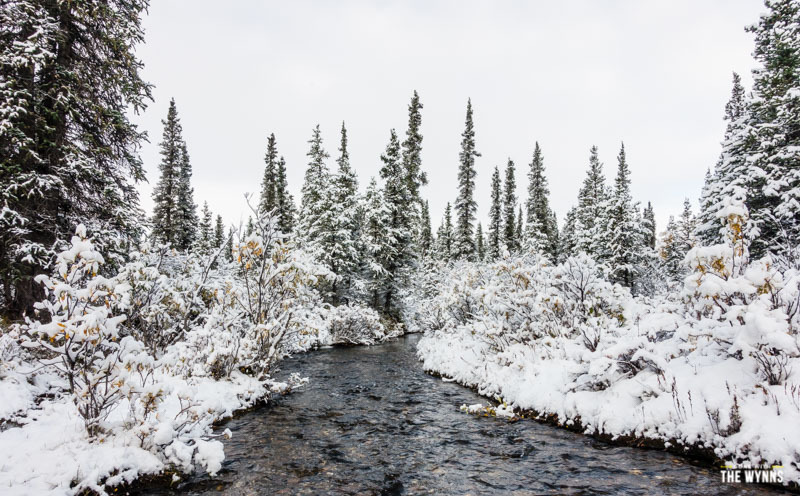 August – Known as the “Shoulder Season” with less crowds but mother nature isn’t always sure if it’s Winter or Fall, so arrive prepared for both! 08/31/2015 – On this day president Obama officially renamed Mt. McKinley back to its native name of Denali. Too bad we didn’t stick around for a few extra days or we could have been a part of history. Dear Alaska, I can guarantee you we’ll make it back to Denali before we die and we’re looking forward to seeing it all next time around…even if it takes an entire month! 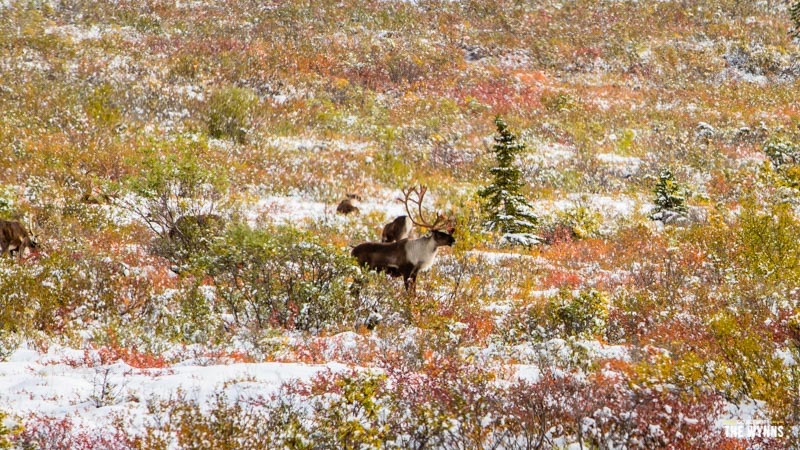 Have you been to Denali National Park? Were you one of the lucky ones that got to see the mountain? What’d you think about the buses? If you’ve been and have tips to share please do in the comments below. If you’re planning your Denali Experience feel free to leave a comment or question, we’ll do our best to provide a helpful answer. 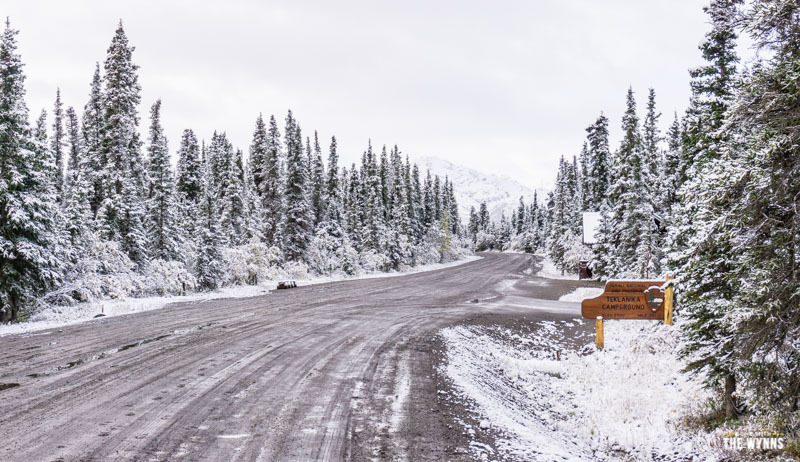 Fuel Prices – In general the least expensive fuel is found in Anchorage and Fairbanks, however we’d recommend topping off your tank before you go into the park so you’ll have plenty of fuel to drive into the Tek campground and run your generator if necessary. We topped off near Talkeetna, AK for $3.37/gallon, that’s only $0.10 more per gallon than Fairbanks. There is a filling station just outside the park entrance but it’s pricey. Road Conditions – The road in the park is well maintained up to mile marker 15. If you score a campsite deeper inside the park the road turns to a single lane dirt road. There are potholes and a few washboard sections but for the most part the park service keeps the road in relatively decent condition for the buses, although a good snow and/or rain causes the road to rut pretty quickly. We made it just fine and so did all the other RVers at Tek. Weather – As you’ve read in this post be prepared for anything. One day at Tek the temperatures never got above freezing and it snowed for nearly 24 hours. But it was an incredible sight! I’m reasonably sure I was in the Park in the same week as you guys, staying at Tek. I definitely saw your RV at one point. That was a very wet week, and yes, snow. The road was also closed for a while due to a landslide at Pretty Rocks (Polychrome). I was on the wrong side of that! The Teklanika Campground is absolutely the best bargain for RV’ers. You could in theory stay at Tek for 14 days, and ride the bus every day for just the one Tek Pass fee. I usually max out at 7 days (holding tanks are only just so big). Since 2015 I’ve spent over 200 days in the Park (mostly as a campground host), and I seen some incredible things. From Wonder Lake and Eielson I’ve seen the Mountain (Denali) many, many times. And, Yes, a big obnoxious lens is helpful for wildlife. I’m enjoying watching your sailing adventures, but for me Alaska is perfect. Nikki and Jason, We love your blogs and videos!!! Mike & I purchased our RV this past May and we are in the process of planning our 2020 Alaska trip from AZ. Can’t thank you enough for all you have shared. You have been a tremendous resource. Enjoy your sailing adventures ♥♥⛵️⛵️Love the updates!! 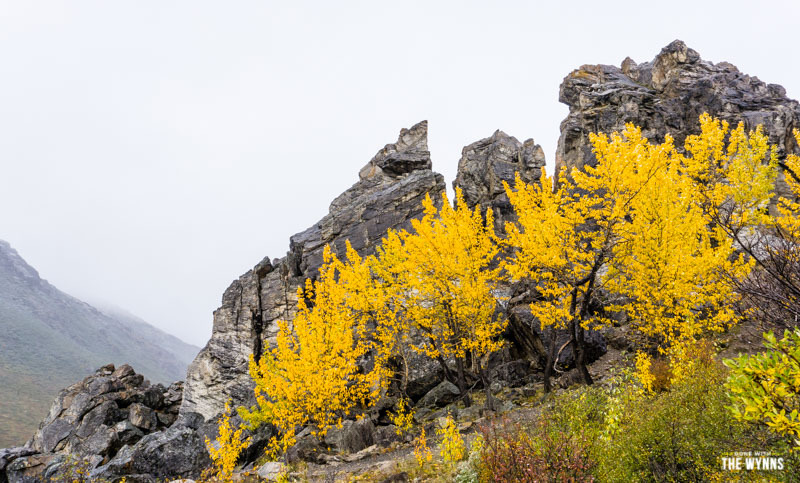 What time of year were you in Denali? It notes the exact dates in the Road Report at the end of the post. I am sorry that you were among the majority of Alaska travelers who see little if any of the mountain. We spent 3 nights at Tek campground in early July. We saw Denali in its entirety every day. It was so magnificent that we will probably never go back. We don’t want to be dissapointed. I enjoy your adventures. Sea stories will be an interesting change. Nikki and Josh: I have spent the last couple of days looking at all your Alaska trip blogs and have thoroughly enjoyed them. Thank you for all the time it has taken to capture such beautiful photographs and sharing your insights into Alaska with us. Having visited Denali National Park many years ago during the first week in June, we were fortunate to view Mt. McKinley on a bright sunny day and a crystal blue sky, from the road on our way to the entrance of the park. It was one of those WOW moments in life — one like you get when you stand on the edge of the Grand Canyon!! You just can’t believe your eyes! At the time we did not know that only 30% of visitors are lucky enough to see its majesty! We look forward to being able to travel with our new RV the next time, so we really appreciate all your helpful guidance. Happy trails to you from South Georgia . . .
Hello Jason and Nikki, I love reading your adventures and wish you the best on water too! Yes, Jason, we all learn eventually that photographing wildlife involves a lot luck and a lot of work. It’s like searching for the needle in a haystack, especially in a place like Alaska. The ones who get the shot usually either pay for it, (a guide or flight to the known wildlife areas) or spend their whole vacation based in the known wildlife hang outs. Wildlife are territorial and creatures of habit, so it does take homework, preparation and patience. I’ve been hunting wildlife for years and it becomes an obsession that is very time consuming. Tracking their habitat is fun. We did the cruise thing with family this July, and it just wasn’t enough wilderness for me. 😉 so don’t feel bad about missing out on the wildlife. It was frustrating for me as well, and I realized Alaska is so huge that three trips wouldn’t touch it all! We will fly up to our favorite areas some day and spend all our time capturing Grizz. Have to say, my lugging 15 lbs of gear for ten years has really caused me back problems, so the long hikes are out. I’m 65 now, and still love the wilderness! I have been following your adventure with great interest since we are planning our Alaskan adventure for the summer of 2016!! We will be following a similar route to yours!! Awesome story and thanks for sharing! I’ll swing by and see the photos. I just returned from your photography website and after checking out the awesome aerial image of Denali, I had to look further at your work and I’m glad I did! Believe me, you are a very talented and artful photographer. You covered many different subjects and all were absolutely stunning and very pleasing to the eye. Since I do deep sky imaging, still a newbie after three years, I was really struck by your images from inside the water formed caves looking to up at the stars and featuring a glimpse of the Milky Way at zenith. Fantastic! We were there just ahead of you guys in July with family. The weather was wonderful – warm (short sleeves and shorts) and sunny! Took the bus to the end of the road – our guide was super! The best part … Denali was seen in all her glory! Was told from our viewpoint was still 30 miles away – but oh how majestic! That was most likely our first and only trip to AK so we’re ever so pleased to be among the 30%! Great blog…love following your adventures! Thanks for sharing your lives with us 9 to 5’ers! We’re living vicariously with you!! Happy New Year! I can’t believe that not only did you do the hike once, part of it you had to back track to pick up your camera. Glad you were safe and did all of the planning ahead so you could be comfortable with your choices to move around as it felt right. Love your blog! We visited Alaska 3 years ago in the summer and we were able to see the peak of Mt. McKinley! It was amazing! The bus was an adventure… But well worth it! I am looking forward to going back to Alaska – this time in our new RV! Thank you for all your helpful information – you have been a great resource for us in purchasing our RV! Thanks for sharing you lucky dog! Wish we could have seen the mountain. Alaska adventure has fed my soul. Thanks so much for sharing. Long time follower, first time poster here. I loved Jason’s little bear diddy! It really did make me laugh! You both appear fairly calm throughout the experience. I was a little fearful for you , but knew since you were able to edit and post the video…all would turn out well. Whew! 😉 Thanks again for all that you share. I thoroughly enjoy your posts and enthusiasm for the RV lifestyle. We were a little scared when I looked around and the trail was completely covered, I had a second of panic then realized we could simply head for the river. Thanks for stopping by to say hi! Wow…that is all I can say…My wife would have turned back 2 feet up that trail with that blizzard going. We were on the same trail (Savage Alpine Trail) in late Aug. of 08′. What a difference (only a light jacket needed). Very shortly here I’ll be making a reservation for Tek. for next summer. After watching this I think I’ll throw our ski parka’s in the RV, along with our googles. You guys are snowboarders, I bet you had some goggles in the RV that would have come in handy. Have visited family in North Pole many times over the last 15 years, but never in our RV. Between now and when we leave in late May I need to get some “good” rain gear, and mosquito head nets. (of course also the 2015 Milepost, Mike & Terri Church Alaskan Camping and a newer copy of Alaska Atlas & Gazetteer by DeLorme) Your post here and the other Alaska ones are a wealth of information, Thanx…. Hi guys, another great installment. This was awesome to see you having fun even though it was snowing. If I recall you guys hit snow on the way your Alaska too! I look forward to the next installment every day. I am dreading the day you guys decide to hang up the rv lifestyle and decide on the next adventure. Until then, thanks so much for bringing me one day closer to retiring full time in my Bounder. Great video…..I felt cold and wet and tired just watching you! Oh my gosh, I was seriously laughing out loud here at work watching this video! I haven’t posted before, but just had to say I love all your videos (& whole blog of course), but for some reason this one was so great to me! My boss walked up as I was laughing and he said “friends of yours?” Nah, not personal friends I said…how do you describe “knowing” you guys? Haha, I dunno….Anyways, I have loved all of the Alaskan posts…really want to make it there…someday…. Well, just thought I’d pop in and comment, and I know it may be a while before you update on your Trona adventures, but I’m looking forward to it…we spent Thanksgiving there, and had recently commented on Nina’s blog & saw your comment, wanted to see if you guys ever made it there and if you enjoyed it? We were blessed to see Denali when we visited in 2010. We also flew the submit which, to say the least, was breathtaking. The little bit of wildlife visible from the bus left a lot to be desired. We are planning our return trip to Alaska for 2017 and will definitely do Denali National Park differently. Thanks for all the information and tips on your videos. I have been so lucky, 5 trips ( 4 motorcycle 1 rv) to Alaska, 3 times past Denali. Saw it twice, the wife and I took the bus ride and the driver said we were lucky, a nice dry clear day. Most days he said you can hardly see out the bus windows with all the mud. Another time my buddy and I, on motorcycle trip, took the plane ride and landed somewhere up on mountain. This last July it was miserably rainy and cold the day I rode by. Love your travels. That was a great blog. Love the visuals and smiled at the audios. Your tinkle bell-ing and the “singing” probably cleared the whole valley of not just bears but all wild life. I am also impressed that you found that perfect Ranulph Fiennes quote:“There is no such thing as bad weather, only inappropriate clothing”. How true, especially once the weather turns unfavorable (I wanted to say bad). Speaking of Mr. Fiennes, if you every look at the cover photo of his books you’ll see it is often poor weather and he never smiles. Wonder if his valet packed inappropriate clothing and thus the quote? Keep up the great blog – you both do an amazing job. Ha ha, I never thought about the fact that Ranulph never smiles…could be the cold or maybe because his body always aches from the extreme adventures. He is such an inspiration and glad you know about him too! Excellent, funny, entertaining. I actually got cold from your video….Burrr …now I need a hot drink. In early July 2010 we actually saw Denali, at about midnight for a few minutes. Long enough to snap a picture to prove it really was there and not just a story! Beautiful pictures! Never been but I would love to one day. You are the intrepid travelers and I admire you for it. I was surprised that you were allowed to go off-trail in Denali. 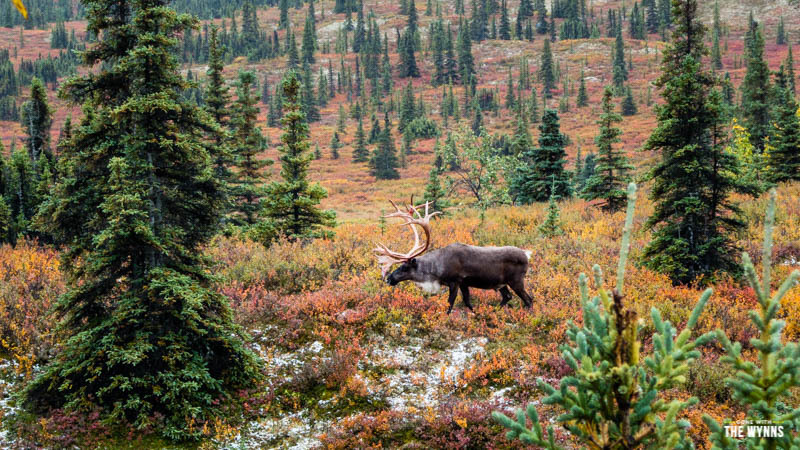 I lived in the far North in Canada and frankly it seems very dangerous to allow tourists to wander off into the woods. Hard enough to keep track of people on the trails. If you are inclined to do off-trail hiking, I would recommend Lyle Brotherton’s “Ultimate Navigation Manual” so you will know how to mark your trail and navigate yourself back to the trail. When I at Denali the first time, in 1986, a girl from Holland was attacked by a grizzly right at the train depot! It was gnawing on her buttocks & thighs when a train arrived and the engineer laid on the whistle, bear ran away and they airlifted her to Anchorage. Funny thing, she slept in the bunk next to me in the youth hostel (which was two old Pullman cars with 10 triple bunks in each; $2 a night). Every day she’d get up at 5 a.m. to go on a guided Nature Walk but never saw much of anything. Then she saw that bear up close and personal!!! That was some pretty crazy weather you got in! I see the photo of the bear. Did he come after Jason’s song? GREAT video…..that was a wild experience. Thanks for sharing!! A wild experience for sure! Thanks so much for sharing your experience. I got goose bumps and had to put on a sweatshirt, just watching it. Denali is beautiful in the snow! Last time I was there was early September and it snowed 18″ on us while tent camping at Riley Creek! They closed the park for the season immediately, which was a disappointment, but we did make out like bandits at the gift shop where everything was 50% off! From wilderness to shopping spree…gotta love the curve balls mother nature can throw. From Nikki’s comments comments as you returned to the bus, I believe you understand the joys of backpacking as follows: 1. You get to see these fantastic landscapes and the more difficult, scary, the adventure the more you treasure the adventure. 2. The benefit most people don’t recognize is that, upon returning, you really appreciate the soft bed, the warm shower, and the air controlled environment. All of a sudden your motor coach feels like the Ritz Carlton. It’s a double win. 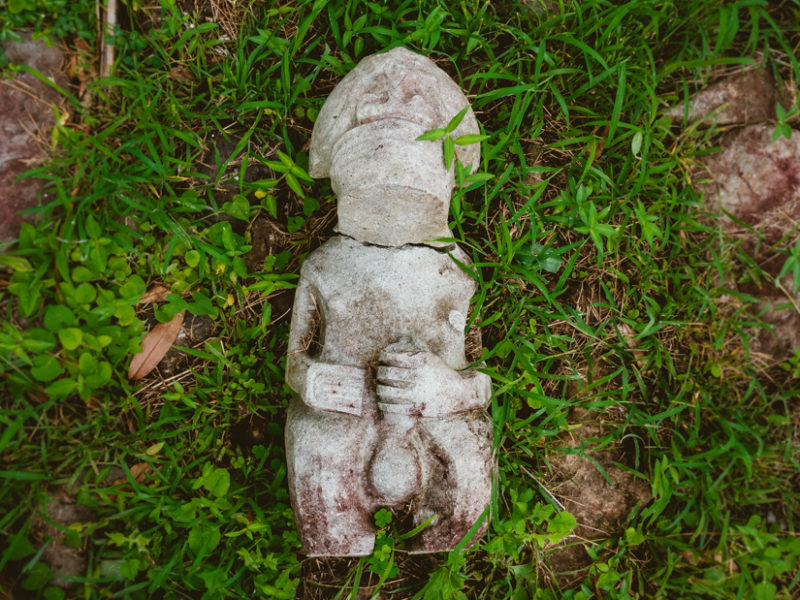 A couple of thoughts regarding your hike. Trekking poles ease the pressure on the knees, the quadriceps, and the lower back. This is especially true for your knees and coming down a steep slope. A “head net”, which is basically mosquito netting that goes over your hat and drops down to your shoulders might have been a cheap, light, means to protect your face from the driven snow. It might have clogged up with snow or ice but they cost about $10, pack the size of a golf ball, and definitely are a blessing in mosquito infested areas. I have a couple of suggestions regarding your loss of the trail and bushwhacking down. These are based on many of my own learning experiences in the back country. If you are returning by the same route regularly look back the way you came so you remember landmarks; perhaps even taking pictures as a reference. If there are no natural landmarks, make a pile of rocks (called cairns), kind of like bread crumbs to follow the way home. A compass will be very useful in establishing the general direction of your return path and a topographical map will help you establish where you are and the best route to your destination. Take this from someone who has run down deep unexplored canyons, afraid to miss what might be around the next turn before my designated time to turn around. If you are making your own path down the mountain, attempt to stay above the lush areas as much as possible. These lush areas can be the most difficult to push through and, with limited visibility increase the risk of falling off a cliff, stepping on a hole and twisting an ankle, or surprising a bear. Sometimes the brush becomes so dense you have to reverse your course and find another route. Regarding your bear warning song… I once had a girlfriend trek down mountain switchbacks for 5 miles on a 4,000 descent singing 99 bottles of beer on the wall over, and over, and over… Fortunately, I loved her so much I couldn’t kill her; actually I was really amused. That said, you were off trail with limited visibility so bells and song were very prudent. Especially in that situation, a readily available can of bear guard might have been a good idea. 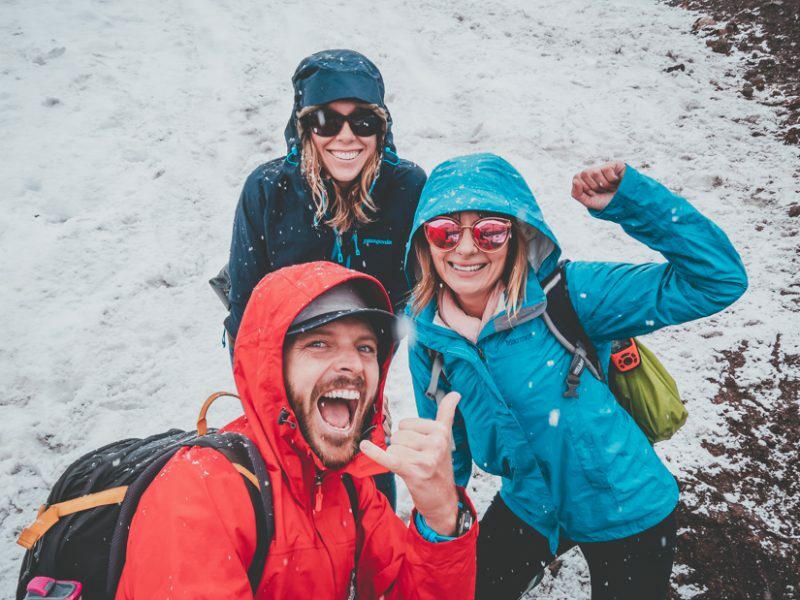 Above all, I am very impressed with your intrepid spirit to take on blizzard conditions and have an amazing adventure sightseers from tour buses and cars will never know. Thanks for taking me along with your video. I liked the big ‘shroom! We were there in June and it was 80. We really felt lucky to have seen the mountain when we were there. We were camping at Savage River in Denali in mid-July in 2012. It seems like that must be a good time to go there because it didn’t seem too terribly crowded yet, the campground had only been open for a couple of weeks, and the wildlife seemed pretty active in the park. We never really did see the mountain much during the day, other than early one morning when we first got up and briefly from a viewing site right off the highway south of the park. Briefly of course means the clouds cleared off for a couple of minutes, and then quickly shrouded the mountain again. The time I saw it best while in the park was our first or second night in Savage; probably the second because it froze the first night and I really didn’t want to leave my tent. I was restless the second night though and couldn’t sleep. So about 2 am I grabbed my camera and went out to wander, looking for moose, bears, whatever. I was secretly hoping to see a bear because the campground host said that one had killed a baby moose in the park just a couple of days before we got there. I didn’t know exactly what I would have done if I saw one, but that’s part of the adventure isn’t it? I didn’t even know how I would find one, but figure if I smelled a moose kill, that would give me a direction to go. Did you think like I did when I read the signs about moose kills; “what the hell does a moose kill smell like?” I decided that it must be something so unique that it would be obvious. I headed toward the road that leads to the river, turned the corner, and there it was. Wow! I suspect the the road was engineered just for that view. The mountain was about 70 miles away, but clearly visible in the never-ending early summer twilight that occurs during those few hours between sunset and sunrise, looming far above the landscape in the saddle of the range in front of it. It was so beautiful! I was so excited to get a clear view of it, knowing that it is apparently rare to see, I ran back to my tent, now hoping not to run into a bear or moose, and grabbed my tripod. If the pictures do not show below, and the link I attempted to place doesn’t work, just copy and paste the URL’s to see a couple of photos from that night. Sorry if all this text and my attempts to link pictures cluttered up your blog. Also, next time you go, it’s very cool to be there during the summer solstice. It’s a big deal there and a lot of the Alaskans party and have festivals. Mt. Denali from Savage Campground 1. Amazing Adventure and I can see why you didn’t encounter any bears with Jason’s singing!